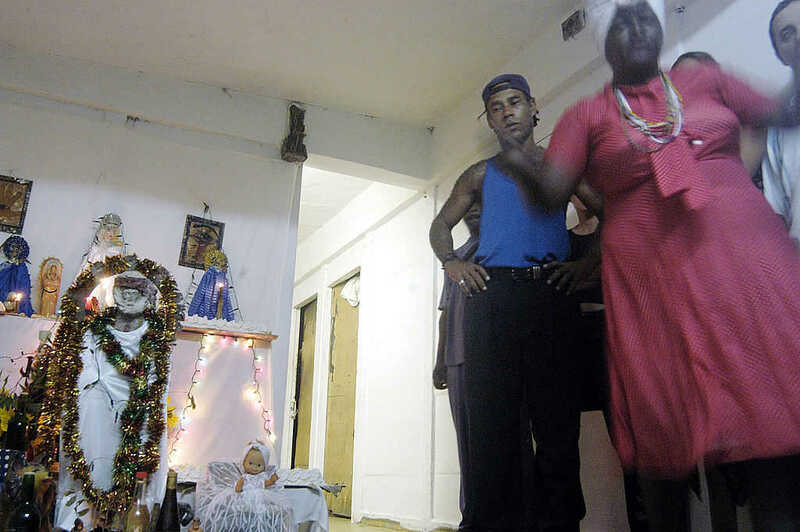 Santeria — a form of modern witchcraft that fuses Catholic practices and African folk beliefs — is prevalent in Cuba. In fact, according to the U.S. State Department, some sources estimate that as many as 80 percent of Cubans practice Santeria. But because of generous donors supporting Cuban church planters, a strong body of Christ-followers is growing in this once closed-off country. Aleja, whose name we’ve changed for security, is a church planter who has seen the incredible impact your gifts have made. Recently, Aleja helped plant a church in a neighborhood that was particularly opposed to the Gospel. The neighbors all followed Santeria, and every home was marked with pagan signs. But eventually, the church members’ acts of love and service began to open doors. Like the early church in the book of Acts, this congregation’s compassion began to reach even the most resistant people in the neighborhood. However, one man held so strongly to his pagan beliefs that he threatened the church. He was considered to be the head of the cult, and his family was very influential in the community. The believers began to consistently pray for this family – over the course of several years. Eventually, the man’s grandson attended a Sunday service. He was so moved by the Gospel that he joined the church and invited his grandmother — the wife of the man who had been threatening the Christ-followers. The boy’s grandmother had been sick and unable to work for some time. Doctors had warned that because of her infection, they would possibly need to amputate her leg and operate on her kidneys. But the church gathered around the woman and began to pray for a miracle. When she returned to the doctors, they were amazed. She no longer needed an operation! The woman praised God, made a decision to follow Christ, and was baptized. Now, she is sharing her testimony with her friends, family, and everyone in the neighborhood — including her husband. “He is still very much against God and against the Christians, but we know the Lord fights for His people and defends them, and we continue to pray for him to meet Jesus,” says Aleja. When you help support church planters, you show people that with God, nothing is impossible. You demonstrate how great His love is by being His hands and feet and meeting a community’s needs. You can support the spread of the Gospel without ever getting on an airplane! Thank you for helping to transform the hearts and lives of people in Cuba and bringing light into the darkest neighborhoods around the world.